Blueberry Cake. 1 pint of sour cream " " " blueberries 1/2 cup " sugar 1 teaspoon soda a piece of butter the size of a hen's egg - add flour to make a stiff batter. Beautiful Cake. 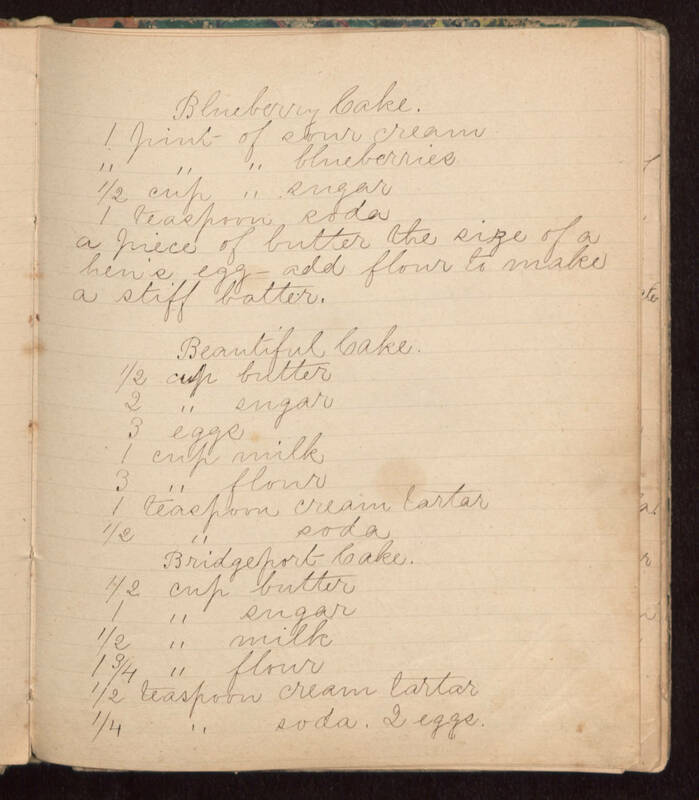 1/2 cup butter 2 " sugar 3 eggs 1 cup milk 3 " flour 1 teaspoon cream tartar 1/2 " soda Bridgeport Cake. 1/2 cup butter 1 " sugar 1/2 " milk 1 3/4 " flour 1/2 teaspoon cream tartar 1/4 " soda. 2 eggs.